Install your HTML email signature in no time! Use our signature installer or follow our step-by-step guides to install your email signature in Outlook 2016. It's never been easier to create a new email signature for Outlook 2016. Check out our beautiful email signature templates and easy to manage email signature software, that makes creating email signatures for Outlook 2016 a breeze. 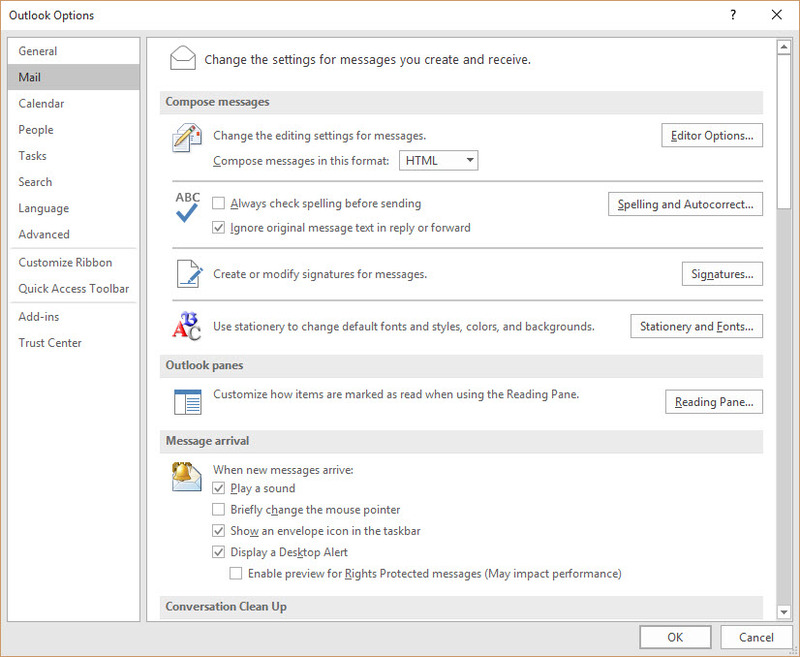 Ensure you've selected the correct installation guide for your version of Outlook. Make sure you have your html email signature file or email signature key accessible. 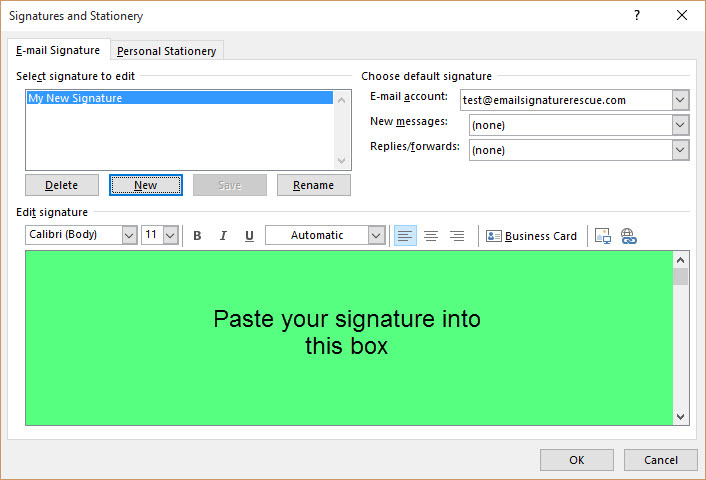 If you have a unique signature key then you will want to install your email signature via our installer app. The installation is simple and means you won't have to manually install the signature yourself. *Please note that our Signature Installer App is still in beta so we are working on improving it. If you experience any issues, please provide us with detailed feedback via this form. Basic Guide or Advanced Guide? If you have a html signature file then you can follow either the Basic Guide or the Advanced Guide. The major difference between the Basic Installation and Advanced Installation is the quality of your email signature once installed. When installing your email signature via the copy and paste method, Outlook will convert your code to its own, which will slightly compress your images and reduce their quality. Because Outlook does this, images cannot be automatically updated if you choose to update them from your account. 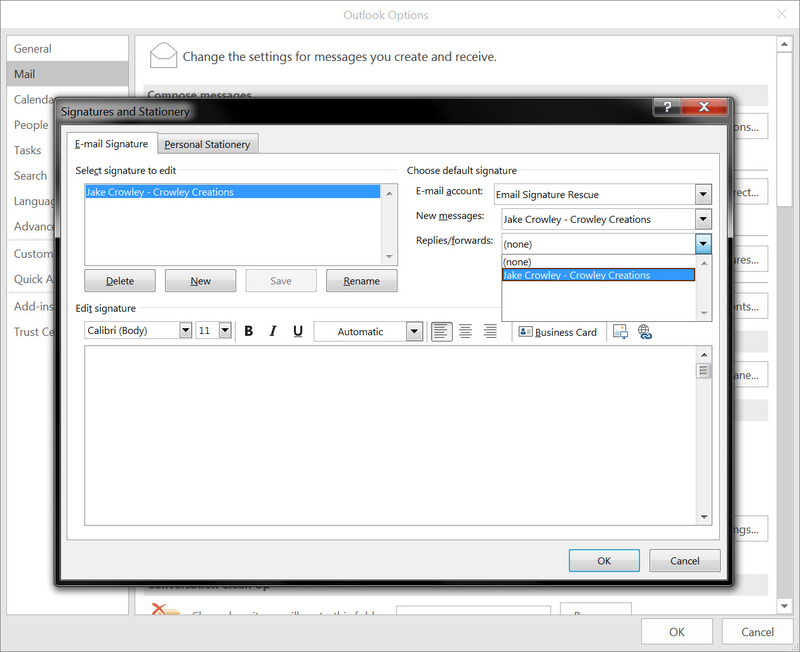 When installing your email signature via the advanced method, you are replacing the Outlook code which means your signature code will be exactly as we create it and your images will automatically update. If you run into any issues during your HTML email signature installation in Outlook 2016 on Windows, please see the Troubleshooting FAQ for frequently asked questions, before contacting support through your member account. Our signature installer app is still in beta and therefore you may experience some bugs. If you do experience any issues, please install your email signature via our Basic or Advanced Guide instead. You can report an issue with our Windows Installer App here. 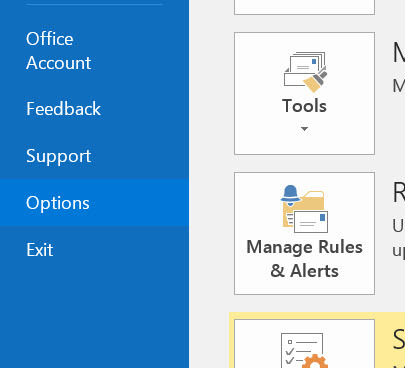 Open Outlook 2016 and click the File tab from the toolbar, then select Options. Select Mail from the sidebar and click the Signatures... button. Click New and enter a name for your email signature, press OK.
Click inside the signature editor and paste your copied signature by pressing CTRL + V.
NOTE: Your email signature may not display correctly in the signature editor. This is normal and is due to the small size of the window. Your signature will display correctly when you compose a new email. Rather watch how to install your email signature? Check out the video below for full step-by-step instructions on how to install your email signature in Outlook 2016 via the Advanced Install. Download your HTML email signature file to your computer from your dashboard, or if you have had it emailed to you, then save it in an accessible location. Create a new signature and enter a name, then click OK.
On the right hand side, assign that signature to send with New Messages and Replies/Forwards. Click OK so you're back to the Outlook Options window, then whilst holding Ctrl, click the Signatures... button. File Explorer should open up to the file location of your Outlook signature files and in here you should see 1 folder and 3 files with the name of the signature you just created. Delete the .htm file, then navigate to the email signature file we created earlier, copy it and paste it into the Outlook file location. Rename this file with the same name that the deleted file had which will be the same as the other two files. Make sure that the extension is .htm and not .html. What you've essentially just done is replaced the Outlook created signature file with your own code so that Outlook can't edit your signature or code. NOTE: If this Advanced process is too hard, try the Easy Guide above. You can also check out the Troubleshooting tabs below for further help. If you're a member, contact support through your member account for additional help. 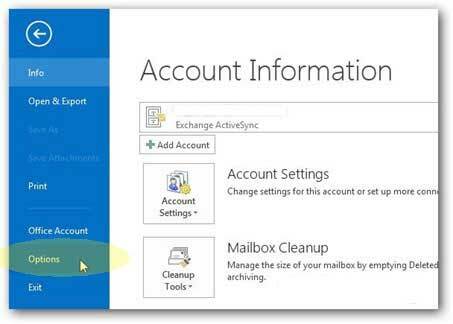 If you have tried all of our installation methods for Outlook 2016 and you run into any issues, please read through this troubleshooting guide before contacting Support for further help. We now have a Windows 7/10 Installer App that will install your email signature in Outlook 2016 in a jiffy! Why can't the Signature Installer App find my mail account? If your email account is an Exchange account then the Signature Installer App won't be able to recognize your mail account when attempting to install your email signature. We are currently adding functionality to the app so it will recognize Exchange accounts. Until this is available, you can follow the Basic or Advanced Installation Guide to have your email signature installed within minutes. When should I use the Advanced Instructions? The reason the images may be blurry using our Basic Installation Guide, is because when you paste the email signature into the settings, Outlook saves your images and compresses them, and then attaches them to the email message in it's own way. If you paste the HTML directly into Outlook's created HTML file and override the Outlook created HTML (following the Advanced Instructions or using our Installer App), it will no longer serve the blurry, compressed images that Outlook created, it will serve the images correctly, from the web server, as per your HTML file's instructions. If the images in your email signature are still distorted or quite blurry, it could be a display setting on your computer. Go to Control Panel > Display in your computer's settings. There you will see three text size options for 100%, 125% and 150%. If your computer is not set at 100%, it can cause the signature to look distorted when it's pasted in. Change the settings to 100% and press Apply to save them. Then re-install the email signature. If you are concerned about images showing as attachments when you send emails to some Apple Mac email clients, use the Installer App or Advanced Instructions to install your email signature. As explained above, this will force Outlook to use the images located directly on the web server, and not the ones it creates, compresses and attaches instead. A majority of the time when this happens, the user installing the signature has not copied all of the relevant code before pasting it into Outlook 2016. To ensure that all of the code from the signature is copied, the user needs to use Ctrl A to select the signature when open in the browser or full screen preview and Ctrl C to copy it.If the user uses their mouse to select the code, they may not select all of the HTML for the signature to work correctly, which will cause the signature to look different when pasted in. Third Check - does the User have their text size display settings set higher than 100% in the computer settings? To find this out, go to Control Panel > Display in your computer's settings. There you will see three text size options for 100%, 125% and 150%. If your computer is not set at 100%, it can cause the signature to look distorted when it's pasted in. Change the settings to 100% and press Apply to save them. Then re-install the signature following our guide. We have noticed that the preview box in the Outlook 2016 email signature settings may cut off your HTML email signature preview. Usually the email signature has been pasted in correctly, so do not touch it at all once you have pasted it. Double check if your email signature is installed correctly, by composing a new email message instead and sending a test email to yourself. If you don't see any images or colors, or your email signature has lost it's formatting when you compose a new message, it's most likely that you have your compose settings are set to plain text. Go to your compose settings and change it to HTML. See this article for more information.